Ginnette read Law at Leeds University and was called to the Bar by Lincoln’s Inn in 1993. She practises in all areas of family law. Injunctive relief for publishing confidential information and other matters. Ginnette has also been Junior Counsel in High Court cases concerning serious non-accidental injuries and complex multi-party final hearings. Ginnette regularly presents seminars and takes part in training days for Local Authorities and Cheshire Police force. Ginnette regularly advises the Local Authority in conference and drafts documents as and when instructed including Threshold documents and Schedules of Findings. Successfully representing the Guardian where there is a serious disagreement between the Local Authority and the Guardian about the final order necessary in proceedings or the final placement of a subject child within proceedings. Applications to revoke Placement Orders/Care Orders. Ginnette has successfully represented parents in cases where findings were being sought that they had injured a child in their care non-accidentally. Ginnette has regularly appeared in contested hearings where cross-examining experts, social workers and guardians is necessary. She has been Junior Counsel in cases where children have been seriously injured. Ginnette has represented parents via direct access as well as upon instruction from solicitors. Ginnette has represented parents upon Appeal to the Court of Appeal successfully and also from the Family Proceedings Court to the County Court. Ginnette has been instructed by NYAS and the Official Solicitor in cases with facts and issues more complex than usual. Ginnette is instructed regularly in cases by parties seeking leave to remove their children from the jurisdiction and/or parties who are refusing permission and wish their children to remain in the UK. 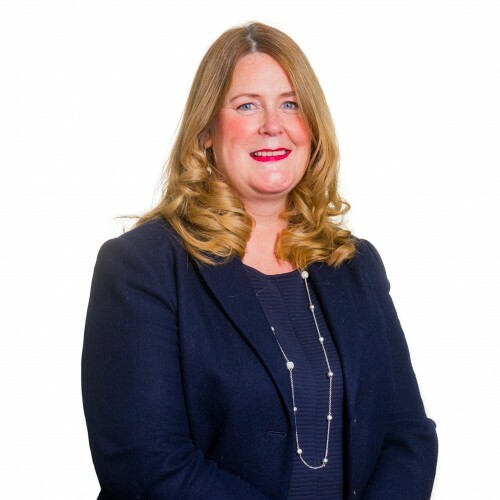 She has experience of hearings with the International Liaison Judge in London and cases involving warning the tipstaff and seeking orders for return of the subject child/children. Ginnette has years of experience representing parents entrenched in a bitter battle over their children. She has also represented Children’s Guardians and NYAS within this sphere. She has a reputation for taking a sensible and calming approach, without ignoring or minimising serious concerns raised by a parent. Enforcing orders including defending and pursuing committal for breaches. Ginnette has experience of cases concerning education, medical treatment and change of name. Ginnette is a trained mediator who has undertaken cases including those where each party is legally represented. Ginnette is happy to facilitate arrangements to suit the requirements of the parties, including round table mediation. Ginnette practises in all areas of family law including family finance. Ginnette is accredited to receive instructions directly from members of the public through the Public Access Scheme.